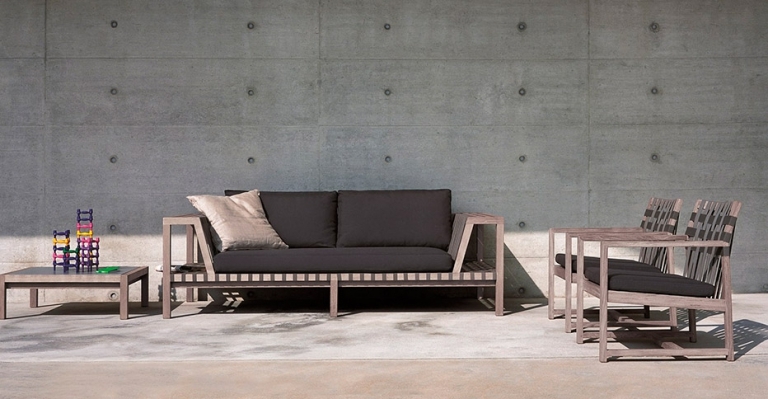 The innovative Network outdoor collection by Rodolfo Dordoni includes a sofa, stool, coffee table, bench, chairs and chaise longue all with solid teak structure and solid colored belts. 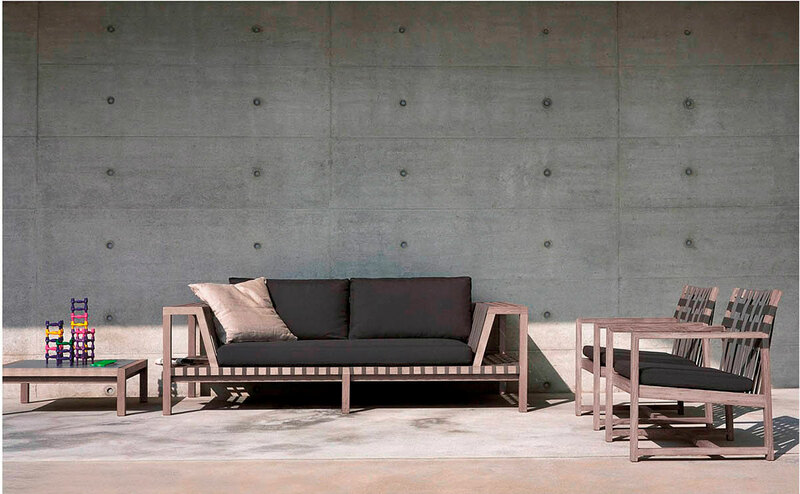 This is not just a typical outdoor line, but rather a declaration of design intent – cleverly blurring the line between indoor and outdoor living. 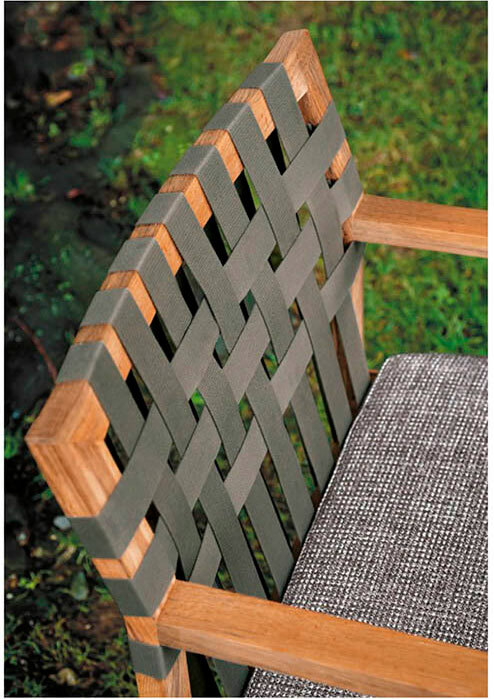 Network’s solid teak frame is coupled with supportive, soft yet strong weather resistant cushions. 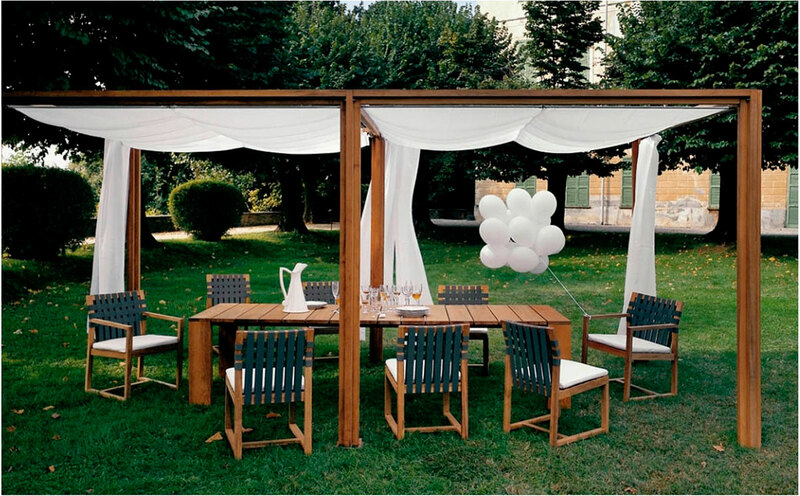 Network has been desigend to fit perfectly into any outdoor scenario: garden, terrace, balcony or any other al fresco location. 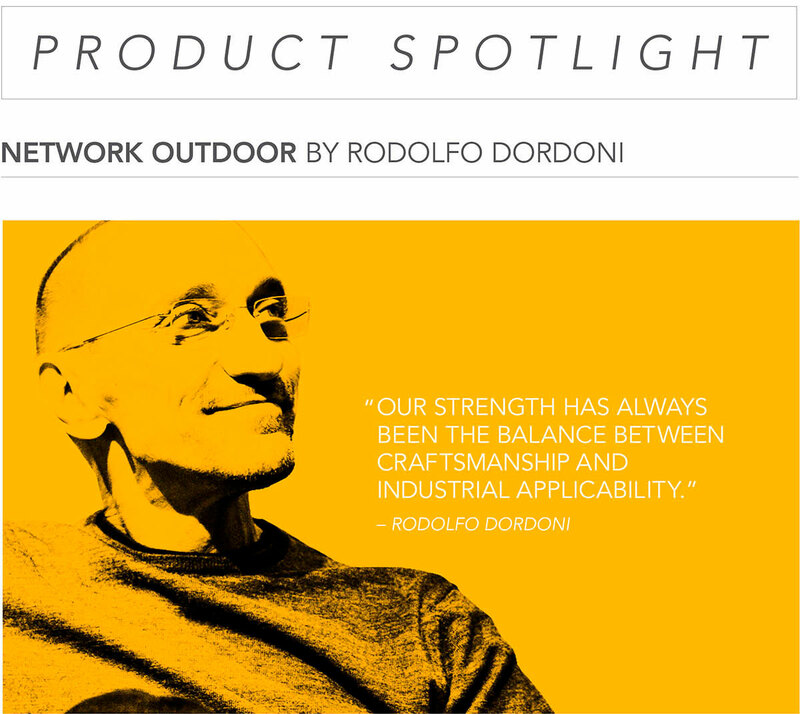 Classic, yet contemporary, the Network collection has been artfully crafted by Italian manufacturer RODA who specializes in the construction of the finest quality furniture – ensuring the ultimate in comfort.